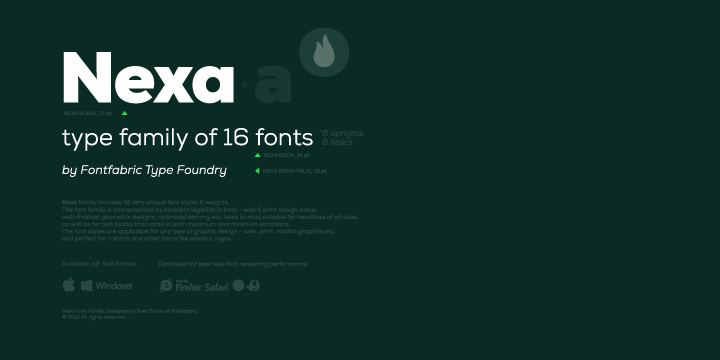 The Nexa font comes integrated with 16 impressive styles & weights. It also has about 8 uprights and 8 italics. This incredible typeface is characterized by first-rate legibility in web as well as print design industry. The smooth finished geometric designs and highly optimized kerning are some of the best features of this font. It makes the mist ideal headlines of all sizes. The font is created by Svetoslav Simov.